Let's take a look at the development and performance section. 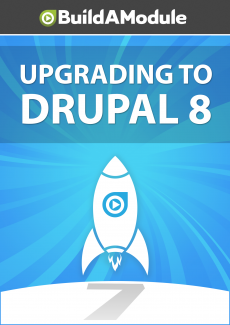 And I'll get there in Drupal 7 by going to configuration, development, performance. A couple big changes here in Drupal 8 but ones we've talked about earlier in the series, the first is that the cache pages for anonymous users option is now on all of the time by default in Drupal 8. In Drupal 7 this was more something that you really wanted to be conscious of because it was possible for anonymous users to see stale information. In Drupal 8 the caching mechanisms have been improved to the point where when there are changes to particular pieces of information it will invalidate certain parts of the cache and refresh it automatically for anonymous users. So as long as the data hasn't changed the cache won't be refreshed.